I would like to introduce meself ! 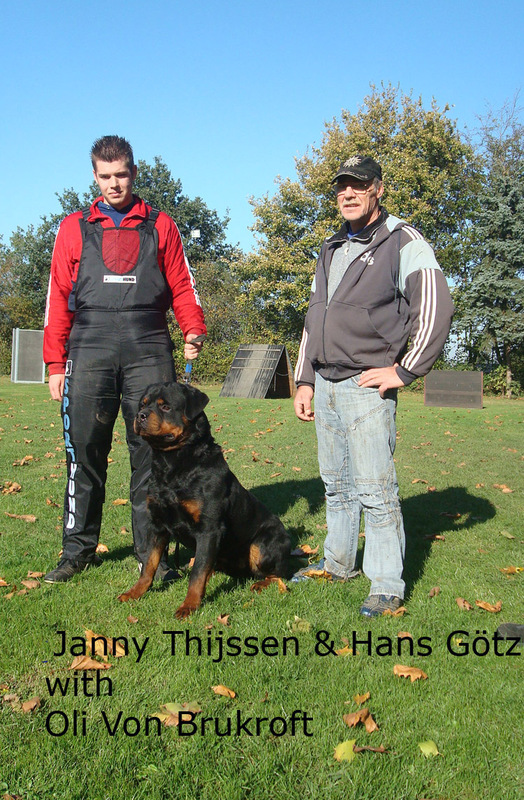 My name is Henk Thijssen, owner of Rottweilerkennel van de Haorepos. The passion for the Rottweiler began in 1986, when I bought my first Rottweiler 'Bobby'. With 'Bobby' I always trained for IPO but he didn't have a pedigree so we could never do his IPO exame. unfortunately Bobby died in 1994. Especially 'Gina' was doing very well at shows, she became 'BeNeLux Youthwinster'08'. Since early 2008 my son Janny Thijssen is also active in the dogsport. In January 2008 he got his first female, this was a ADRK female. Her name is Joy von der Merch. 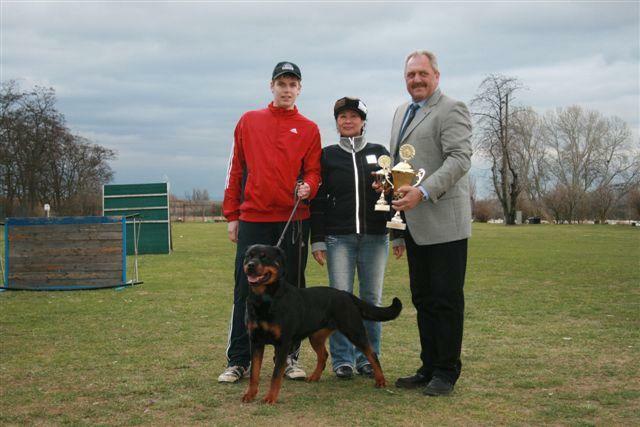 In November 2008 Janny received his 2nd female: one of the world famous kennel 'Vom Schwaiger Wappen'. Her name is Priska vom Schwaiger Wappen II. Both females have excellent bloodlines. Central in their pedigrees are workingdrive and beauty. We hope that these bloodlines will be the base of our kennel in the future. November 2011: First offical exame as ADRK helper. March 2012: Member ADRK BG-Blatzheim. With our dogs we train at NBG Kollenberg and at SV-OG Gleuel. . I would particularly like to thank 2 people. First I would like to thank Hans Götz of SV-OG Gleuel. for all the energy and effort helping me to become a doghandler and helper ! We would also like to thank Caecilia Dewi tjan-Soewondo (V't Elitehof) for her friendship and cooperation!! 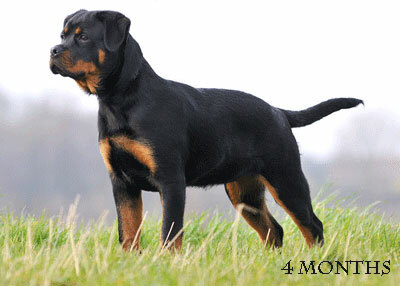 We breed according the rules of the N.R.C (Dutch Rottweilerclub) and of our kennelclub (Raad van beheer). All our litters will get a pedigree and will be raised in our home.